We have all felt that feeling before. As you stand up from a seated position, you feel that stiffness in your lower back that is at times debilitating. Some of us work desk jobs that require us to sit for hours each day. Unfortunately, this causes postural issues and a tight lower back for most. Fortunately, we can undo some of those issues with exercise. This is an amazing pose for alleviating a stiff lower back. 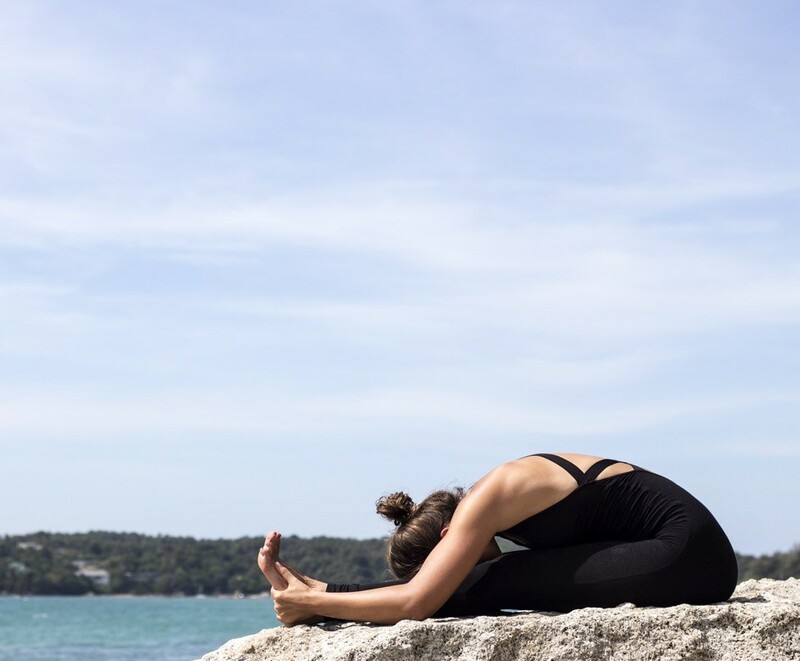 One of the most significant reasons for performing the downward facing dog pose is that it simultaneously stretches your hamstrings and lower back. While in a seated position, the hamstrings contract and shorten. After spending hours a day in this position, our hamstrings become tight and that tension spreads to the lower back. The downward facing dog helps alleviate that issue by stretching and lengthening both the muscles in your hamstring and lower back. To perform the exercise, you would start on your hands and toes with your tailbone facing the ceiling. Slowly extend your legs as you bring your heels to the ground and raise your tailbone until your heels are flat on the ground. Hold this position for as long as you can. The dolphin plank is a variation of the plank pose in which you lean all of your body weight onto your forearms and toes. This pose works well for strengthening the abdomen and the hips. The dolphin plank works very well for balancing the tension between the lower back and the abdomen, which is one of the best ways to ease a tight lower back. Adding tension in the abdomen through exercise may help to loosen the lower back. The muscles of the lower back should loosen up and you should feel some relief immediately after performing the plank. 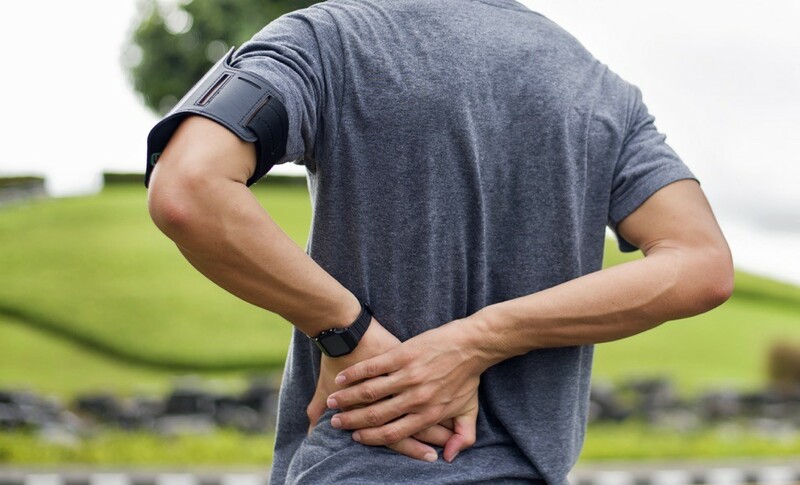 For intense stiffness and pain, try wearing a back brace for additional support. To perform the dolphin plank, start from a push up position and then transfer the weight of your upper body onto your forearms, as opposed to your wrists in a standard plank position. In the dolphin plank, position, your body weight should be evenly distributed on your forearms and your toes. Hold this position for maximal time. The big toe pose is a great way to stretch the hamstrings and the lower back which, as we already know, are one of the major causes of that tightness in your lower back. To perform the big toe, stand upright with your feet facing forward and spread about six inches apart. Bend at the waist and reach your hands towards your toes. With your hands near your feet, place your index and middle fingers under your big toe. Now pull against your feet in order to bring your head lower. Once you become adept at this pose, you should be able to stretch until your head reaches in between your shins. Hold the big toe position for 5 breaths and then rest and repeat. The sphinx is a simple, yet very effective pose for lengthening the spine and relieving tension in your lower back. The exercise also gives the abdominals a great stretch and helps to strengthen them which also helps to prevent tightness in the lower back. To perform the sphinx, begin by lying on your stomach on a flat surface. Raise your lower back and support your weight on your forearms. Hold this position for a good stretch. The seated forward fold is another great way to lengthen the hamstrings and relieve some of the tension in your lower back. If you have a desk job, this is a great option for you! To perform the seated forward fold, sit on a flat surface with your legs extended and your heels touching the floor/mat. Place both palms on the ground and start walking your hands further, creating a stretch in your lower back and hamstrings. At the furthest point, hold it for as many breaths as possible. Slowly return to a neutral position and then repeat the movement. These are just a few yoga poses you can use to loosen up a tight back, but there are other ways to combat the situation. As previously mentioned, lifestyle factors play a big role in your posture and musculoskeletal issues. The key is to remain active and prevent long, uninterrupted periods of sitting. A great way to do this is by taking a brief walk every couple of hours. In addition to keeping yourself active throughout the day, try and stretch your lower back and hamstrings at least a couple of times a week. Your core strength has a lot to do with your lower back as well. Abdominal exercises like planks and variations of it (like the one mentioned above) are a great way to keep your core strong and mobile. Try these poses out, stay strong, get yourself a good back brace and keep moving!